“`Bill Paxton was one of the busiest actors in Hollywood. He had a knack for appearing in dozens of movies and television shows that seemed to be around when history was being made. He’s best known for his performance in Apollo 13, and opposite Keven Costner in Hatfields and McCoys for the History Channel. Bill’s screen credits included an iconic number of blockbuster films. Paxton, genial and well-liked by his peers in Hollywood, was defined less by marquee status, than as a character actor portraying regular Joes. “`Paxton got his first break in the movie industry in the mid-1970s, working as a set dresser. The actor studied with Stella Adler at New York University for two years. As a young man, working in the Art Department for B-movie mogul, Roger Corman, who launched the careers of numerous actors and filmmakers. “`He appeared in Stripes, The Terminator, Weird Science, Aliens, Predator 2, as Morgan Earp in Tombstone, True Lies, Twister, Titanic, Million Dollar Arm, the recent remake of Mighty Joe Young, and Nightcrawler. He also directed The Greatest Game Ever Played, the bio-pic of the career of golf legend, Francis Ouimet. “`On television, he starred in Big Love, which earned him three Golden Globe nominations; had a recurring role in Agents of S.H.I.E.L.D. ; and appeared in episodes of Miami Vice and Frasier. Paxton was Sam Houston in the mini-series Texas Rising; and early in his career, he garnered a co-starring role in An Early Frost. As Randolph McCoy, he also received a Screen Actors Guild Awards and an Emmy Awards nod. Bill was part of the SAG cast that won in Apollo 13, playing stranded astronaut, Fred Haise. This year, he was cast as Detective Frank Roarke in Training Day, a crime-thriller television series set 15 years after the events of the Denzel Washington vehicle. Paxton narrated the documentary, JFK: The Day that Changed Everything as a labor of love. “`Remaining busy, he curiously appeared in music videos: Barnes & Barnes, Fish Heads, and a Limp Bizkit production. And recently, he also played a part in the video game, Call of Duty: Advanced Warfare. “`Nearly 200 storm chasers are paying tribute to the late actor by spelling out his initials using GPS coordinates on a map depicting the heart of Tornado Alley. 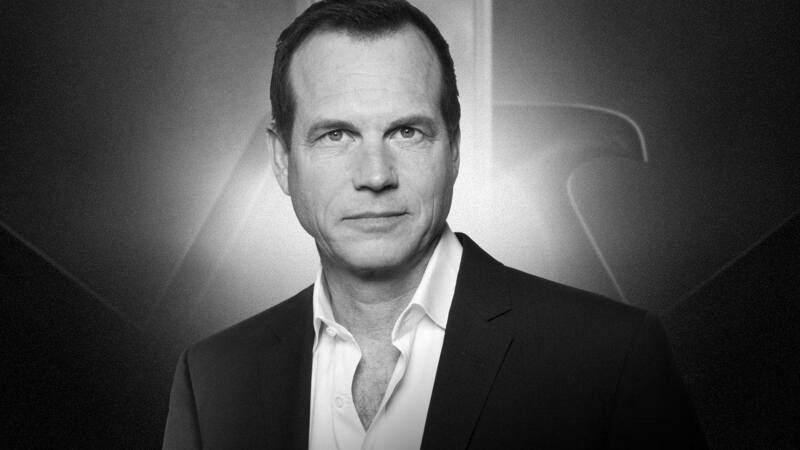 Bill Paxton died after suffering a stroke following heart surgery. He was 61. This entry was posted on Sunday, February 26th, 2017 at 12:18 pm	and is filed under Blog by Manny Pacheco. You can follow any comments to this post through the RSS 2.0 feed. Responses are currently closed, but you can trackback from your own site.